As seasoned property buyers, we regularly travel across Greater London, the home counties and south-east of England, often venturing through prime commuter locations. Of the many commuter counties we have visited, Essex is one of our favourites. Blessed with bustling towns that have immediate access to the peaceful countryside, Essex also has the longest coastline of any English county (350 miles) with 35 islands off the coast. Interestingly, if you are looking to escape the chaos of The Big Smoke, you could relocate to the UK’s smallest town (Manningtree) or move to Tiptree, the largest village in the UK! Overall Essex is full of personality with lots of different areas to live within travelling distance to London. Here we look at our favourite commuter towns. Interesting Fact: At 1.33 miles in length, Southend has is the longest pleasure pier in the world. Southend-on-Sea is a regional favourite of ours, as we previously mentioned in our Top 7 seaside destinations near London post. 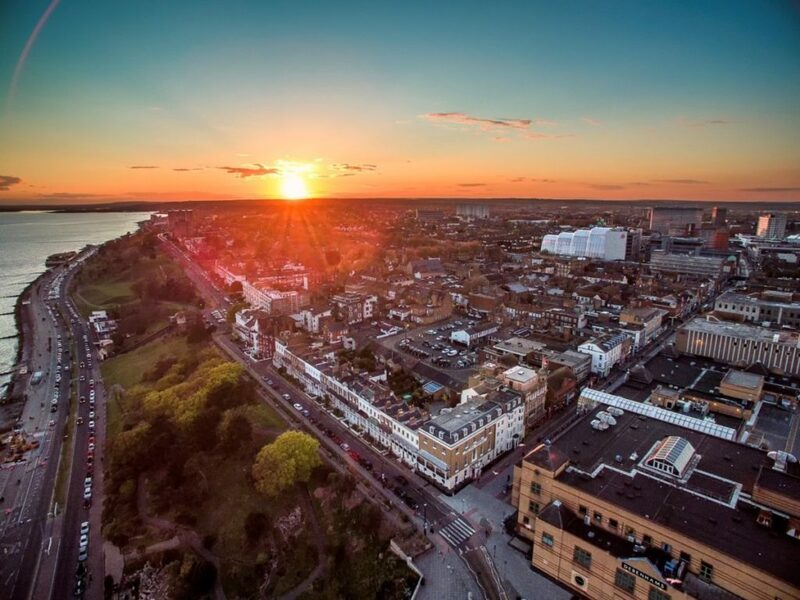 While the town may have been previously famous for attracting holidaymakers and day-trippers, Southend is now working towards becoming a great place to settle down and live with its several regeneration projects. For example, in recent years there has been a £22 million renovation of the Victoria Shopping Centre combined with a £50 million revamp of its famous seafront as well. Another attractive reason to relocate to Southend is that it has recently invested over £20 million to improve its already impressive education system that includes the ‘outstanding’ Southend High School for Girls and Westcliff High School for Boys. Furthermore, European regeneration funding has also benefitted tertiary education here with the establishment of the Southend campus for the University of Essex. While there has been significant investment to renovate Southend, properties are still very affordable with the average house price costing just shy of £258,000, so you could easily get yourself a bargain if you are craving a coastal lifestyle. Furthermore, with over seven miles of coastline, living in Southend is great for facilitating an outdoors lifestyle, whether you fancy kayaking, sailing or just peaceful weekend walks. Moreover, living in Southend does not make you feel cut off from the rest of the UK, it boasts three train stations and you can reach London in under an hour. Plus, with Southend’s own international airport, you don’t have to feel isolated from the rest of the world either, with destinations including Barcelona, Paris and Amsterdam! Southend is a great place if you’re looking for quality schools and an up-and-coming area full of potential. 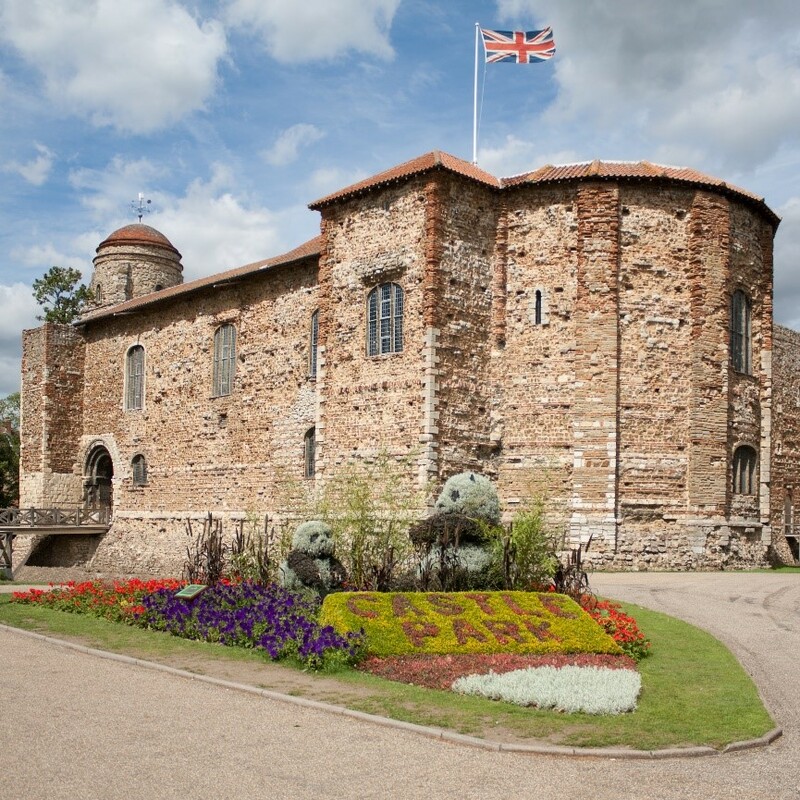 Interesting Fact: Colchester is the UK’s oldest recorded town and it was the first Roman capital of Britain. 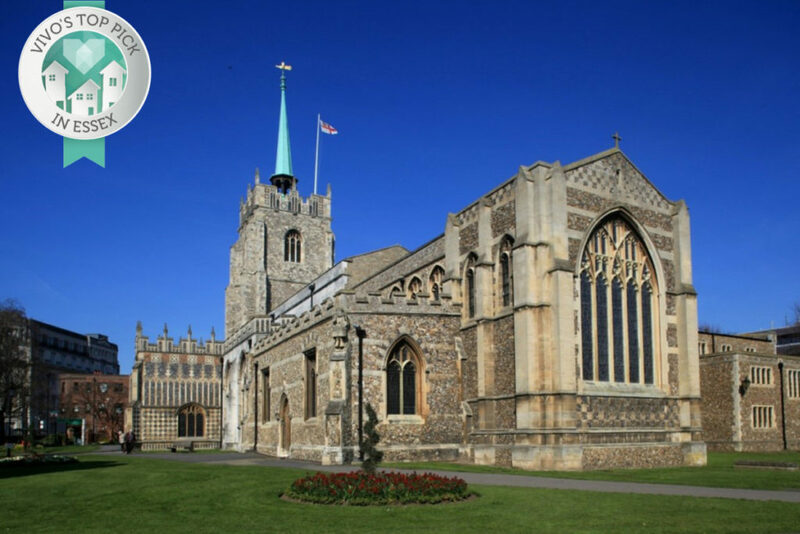 If you’d prefer to live in a place of real historical significance, perhaps Colchester is the ideal commuter town for you. Often regarded as the cultural capital of Essex, Colchester is a historic town with medieval streets, a Norman castle that was built on the foundations of a Roman Temple and even Dutch and Georgian quarters! Furthermore, if you are looking to live on the outskirts of a town, Colchester has many pretty villages nearby and its surrounding rural area is known as Constable Country, with its picturesque countryside being the muse of English Romantic painter John Constable.Within the town itself, Colchester is full of cultural activities featuring regular Farmer’s markets and a wide range of annual festivals from crafts, film and of course food and beer! Moreover, if you are worried about leaving London’s theatres behind, Colchester has the Mercury Theatre. Opened in 1972, it is full of regional and national productions to keep you entertained. What’s more, in 2011 Colchester welcomed Firstsite, a contemporary art gallery and cultural centre designed by legendary Uruguayan architect Rafael Viñoly, costing over £28 million and affectionately known as the ‘Golden Banana’. A strong focus on education and culture is also apparent in Colchester’s schooling system. In the local catchment area there is the highly commended Colchester Country High School for Girls and the Royal Grammar School for Boys (girls are admitted at Sixth Form level). Another reason why Colchester has become a popular commuter destination for those who work in London is its affordable housing. The average house price is under £270,000, and in terms of location, the north of Colchester has proved to be a favourite location for commuters to settle down. In addition, there are trains to the Capital every seven minutes at peak times. While annual train tickets are slightly more expensive than others in Essex, the regularity of services are often seen as invaluable by Colchester commuters. 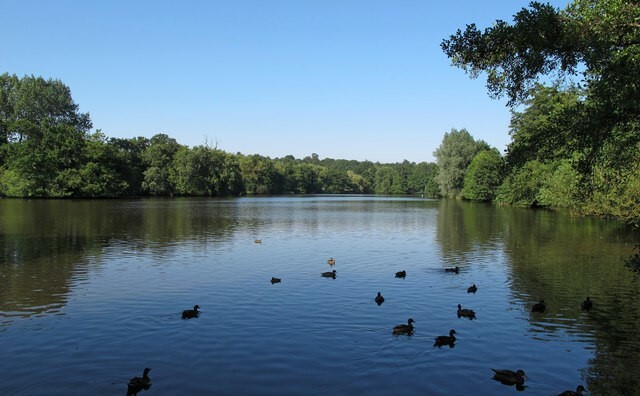 Overall, Colchester is a fantastic place to live if you want to stay culturally connected but also appreciate the great outdoors with Dedham Vale and Stour Valley close by. Interesting Fact: Dating back to the fourth century, the ‘Brentwood Ring’ is one of the earliest Christian rings ever to have been discovered in Britain having been found in Brentwood in the late 1940s. The only other comparable ring of its type is current located at the Vatican Museum in Rome. Brentwood started life as a popular coach stop for those travelling into London and as time has passed, it has developed into a popular commuter town for Londoners. It is certainly an affluent town with the average house price costing over £460,000, but residents enjoy its array of independent shops and restaurants. Another incentive to move to Brentwood is that it is also home to two outstanding secondary schools; the Brentwood School and St Martin’s. Thus, one of the biggest motivating factors people have found when moving to Brentwood is the increased quality of life in comparison to London. Perhaps the greatest incentive to sell your home and move to Brentwood would be its enviable location. It is in close proximity to the M25 (Junction 28) but also a stone’s throw from rural countryside, woodland and public parks, including Shenfield Common and King George V Playing Field. This combination makes Brentwood a great place to live but also makes for an easy commute too. You can get into central London in under 40 minutes during peak hours. Additionally, in 2018 Brentwood will be part of the new Crossrail service, helping it become even easier to commute from London! With this in mind, despite it being a bit more expensive than the rest of Essex, Brentwood is a fantastic place to invest if you’re looking to commute long-term from London. Interesting Fact: Estimated to be over 800 years old, Saffron Walden is home to the largest turf maze in the world. If you’re looking to relocate to a quiet, relaxed and somewhat smaller area, Saffron Walden may be your perfect spot. Its population is just over 15,000 so it naturally lends to a slower and more peaceful way of life. However, despite its smaller size it is bursting with medieval character with tiny, winding streets and timber framed homes, making it an idyllic town set in the heart of Essex countryside. Considering it rural location and overall ambiance, Saffron Walden is surprisingly only 20 miles away from the beautiful city of Cambridge and just over 30 miles away from Stansted Airport (although you wouldn’t think it). Saffron Walden has a very relaxed and calm atmosphere where you can wander off into the countryside with its abundance of public footpaths. 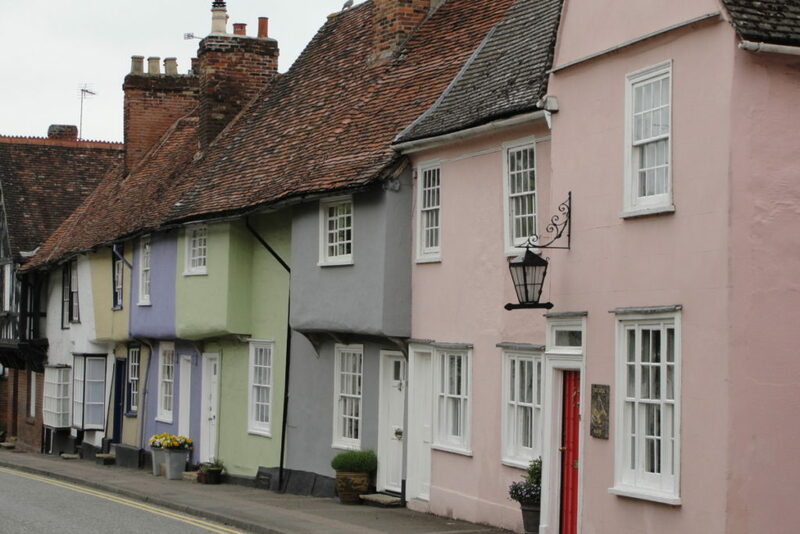 However, due to its size and the fact that people that love to settle permanently in Saffron Walden, the property market can be quite slow and it may be difficult to find your perfect home. This, combined with its proximity to Cambridge, sees Saffron Walden’s average house price to be over £400,000 which is slightly above average for Essex. Interestingly, Saffron Walden is an unusual commuter town in the sense that it does not have its own train station. Fortunately, commuters only have to travel two miles down the road to Audley End station, where you can reach London Liverpool Street in around 51 minutes. The absence of a central station does allow Saffron Walden to remain uncongested, which helps its rural market town ambience with a large public common and frequent Farmer’s market where you can buy an abundance of quality, locally-sourced produce. Overall, Saffron Walden is ideal if you are looking for a complete change of lifestyle, wanting to avoid new builds and chain restaurants that is common place in the Capital. Interesting Fact: Iconic King of Scots, Robert the Bruce, was reportedly born in a farm just outside Chelmsford. Having been granted city status in 2012 (with the UK’s smallest cathedral after Derby), Chelmsford is rapidly establishing itself as one of the top London commuter towns. A pertinent factor for its popularity is its frequent and reliable rail service into London. Residents can reach London Liverpool Street in 35 mins – which is a shorter commute than many Londoners face! Plus, with the average house price under £350,00 you can get real value for your money by relocating to Chelmsford. The city appears to be thriving too; it has invested heavily in creating new builds to entice commuters and university students alike with the formation of Anglia Ruskin University. With the influx of students, Chelmsford has a vibrant nightlife too, full of restaurant and bars but also maintains a low crime rate. In combination with a thriving night-time economy, Chelmsford is also very family friendly. It has an enviable array of top quality grammar and independent schools. Perhaps its most famous is the King Edward VI Grammar School, known locally as ‘Kegs’. It was founded in 1551 and is nationally acclaimed for its teaching quality. Other alternatives include New Hall School, which was recently voted Independent School of the Year 2016 by the Times Education Supplement while Chelmsford County High School For Girls is a fantastic grammar school. There are also plenty of green spaces in Chelmsford including Central Park, Springfield Hall Park and Admirals Park and Tower Gardens to name but three. Plus, if you’re into sport, the abundance of green spaces sees Chelmsford host its own ‘Parks Marathon’, while the city is also home to Chelmsford Sports and Athletics Centre (CSAC) which provides first class sporting facilities both indoors and outdoors. 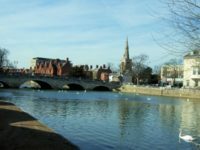 What makes Chelmsford a great commuter town is that you can easily access London but the city also provides so much for its residents that you can really establish a happy lifestyle here too. For this reason, we have voted Chelmsford as the number one commuter town in Essex. It has a fantastic education set up and plenty of property to be able to sell your home and relocate. There is also plenty for people to do for all ages and lifestyles. A perfect all-rounder that can fit to most budgets. If you want to find out other hot commuter spots, why not check out our Surrey, Kent, or East Sussex commuter guides.